We’re inching closer to that date, and I hope you’ve done your Christmas shopping… or at least asked Santa to do it for you. 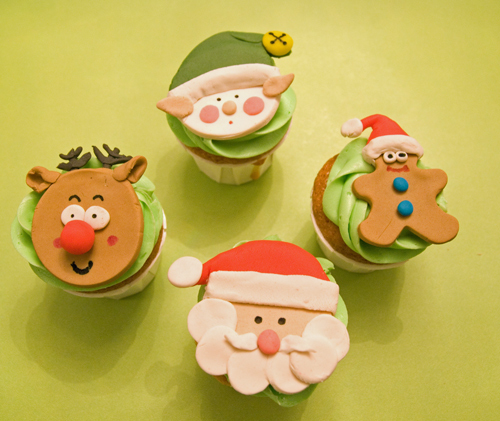 If you haven’t, these amazingly cute cupcakes might just be enough to put a smile on someones face. Happy Holidays everyone. What are your plans for Christmas this year? 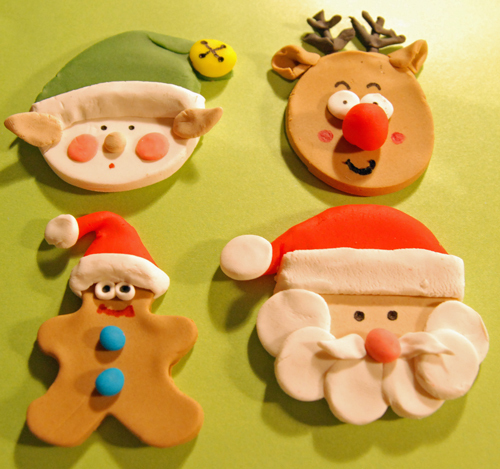 Start by colouring your fondant in different shades. I used a peachy-beige (quite the techinical term for skin tone hah) for the elf and Santa, and a darker brown for the gingerbread man. Go nuts. Use the fondant to add a hat, nose, eyes, excetera. The edible pen was used to add the finer detail. Finito! I think the elf is my favourite… he looks sneaky. I am speechless.Adorable!Even more than words can say!What a perfect addition to the Christmas festive table.Thank you for sharing it with us! 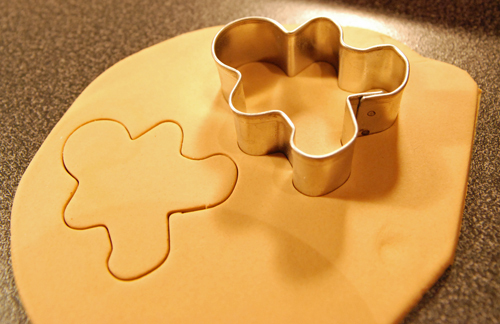 I have yet to try working with fondant, but you did a great job with these cupcake toppers. They're just adorable. Ohhhh! They are gorgeous!!! 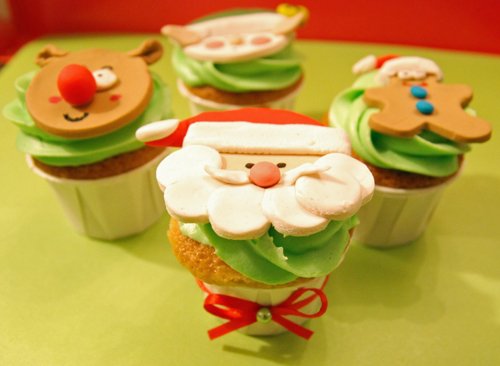 These are so cute!!.. and looks delicious too! Wow Maddy, your website is really taking off! Merry Christmas and a Happy Hew Year! Those are great! I love them and the elf is too cute! I've noticed the small paper cups that the cake in baked in….are my eyes seeing right?….are they small nut cups? If so how cute..how long do you bake them?